June 4, 2018- Israel Aerospace Industries Ltd. (IAI) has named Mr. Swami Iyer as CEO of IAI North America, its US subsidiary. Mr. Iyer will be responsible for all IAI operations in North America, including its subsidiaries Stark and ELTA North America. Harel Locker, IAI’s Chairman of the Board said: “The US represents 75 percent of the global defense market for IAI. We plan to focus and grow within this market. I welcome Swami Iyer as the new CEO of IAI North America. Mr. Iyer has a wealth of experience, professional, business and managerial capabilities. I am confident he will succeed in unlocking the potential available to IAI in the US market”. 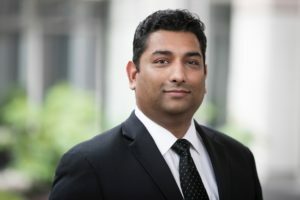 Mr. Iyer is a leader with 20+ years of experience in aerospace, defense and cybersecurity. Most recently, he was the president of Ultra Electronics, 3eTI, where he developed M&A projects and substantially expanded profit margins. Prior to that he was Vice President, Defense & Space at Honeywell Aerospace, where he led multiple, multi-billion dollar international and domestic defense programs. As Chief, South Asia, Australia & Oceania, International Affairs for the USAF, he was responsible for formulating and integrating policy with respect to political-military relationships, security assistance, technology and information disclosure issues, military exchanges, and attaché affairs. Iyer was a Lt. Colonel in the USAF and logged over 3,500 hours (105 combat hours) of flight experience in 45+ aircraft across fighters, bomber, transport, rotary, trainers, and commercial aircraft. Mr. Iyer holds a M.Sc. in aerospace engineering from the University of Michigan. “I look forward to leading IAI North America and increasing its foothold in the US market. This is an exciting new challenge for me, building on my background in the industry. IAI is a diverse company with outstanding capabilities and products to offer US customers.” said Mr. Iyer. © 2018 IAI North America. All Rights Reserved.